My interest in radio grew from recent iterations of a work I’ve been developing called Twittering Machines . 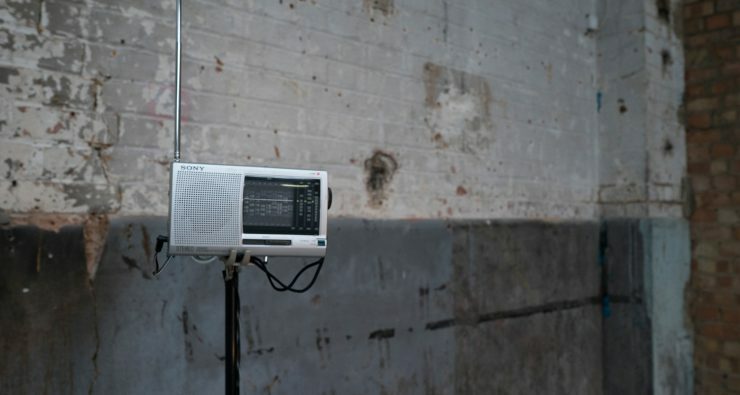 This installation combines a machine listening to morse code automatically translating it into text live, sometimes getting confused by interruptions. This is in conjunction with intermittent short range FM broadcasts to pocket radios within the same room. One idea was for interruptions (from human presence) disrupted the Morse translation (which was John Keats Ode to a Nightingale) as a metaphor for interruptions and habitat loss being a large contributing factor to the alarming drop in UK nightingale population. I was also thinking about bandwidth. Some research show that birds will tend to modulate and adapt their song in noisy environments in order to be heardover distance. They tend to modulate to a higher pitches, which can be produced at a higher volume. The birds need to tune to a different bandwidth to be heard more clearly and effectively. 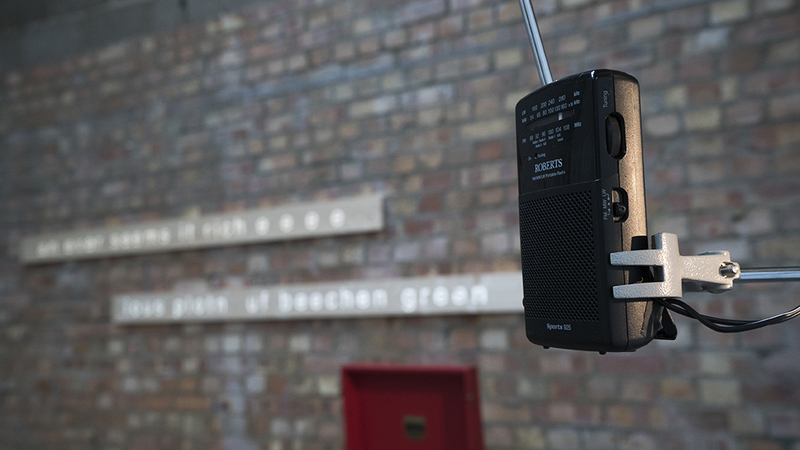 “Chirp” is a change in frequency when the transmitter is keyed on and off (when the Morse characters are being formed) thus the change in frequency would be heard on a receiver at the start and end of each keying stroke. …. and the implications these have on bird-life, and more.